The first pilots of the US mobile operators’ NFC payments program in Salt Lake City and Austin, Texas will not go ahead on schedule and no new date for the launch has yet been set, says Isis. Isis has hit further delays in the rollout of its first pilots in Salt Lake City and Austin, Texas, the NFC joint venture between AT&T, T-Mobile and Verizon has revealed. “As the days are counting down on summer, we are not going to hit our previously announced summer time frame,” Ryan Hughes, chief marketing officer at Isis has told the Wall Street Journal. Hughes wasn’t able to give the newspaper a new date for the launch of the pilot trials but said the company planned to provide an update of its plans in October. Isis has already undergone one full pivot in strategy. 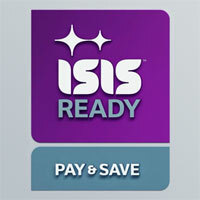 In May 2011, six months after the joint venture was created, Isis abandoned plans to introduce its own mobile payments service and chose to partner instead with existing payments industry players. Isis has made progress, however, Jaymee Johnson, Isis’ head of marketing has told Reuters. “We are wrapping things up and finishing that final punch list of items,” he said. Last month, a number of NFC phones marked as approved for use by the three mobile network operator partners in Isis appeared on MasterCard’s list of approved mobile devices and Google’s Robin Dua suggested that the Isis model is simply not scaleable. • Read about the evolution of the US mobile operators’ NFC payments and marketing platform in NFC World’s Isis hub.